Since 2012, the dedicated and compassionate veterinary team at Hudson Animal Hospital have successfully performed spay and neuter procedures on many male and female cats of all breeds and ages. We have also helped educate cat owners throughout NY about spay and neuter procedures. These include when to spay or neuter a cat, what to expect during and after surgery, and why cat spaying and cat neutering is essential to helping control the pet population problem in the state of NY. When Should You Spay Or Neuter A Cat? We recommend spaying and neutering between around 6 months of age. In some cases, male cats can become sexually mature before 6 months of age, which means waiting to neuter a cat can cause accidental pregnancy. 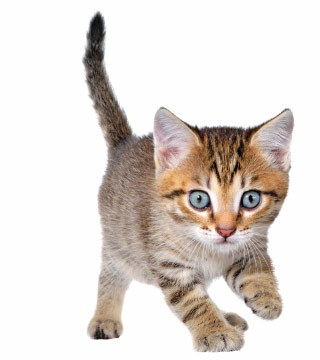 Also, kittens tend to be more resilient to minor surgical procedures than adult cats. Therefore, undertaking cat neutering surgery sooner rather than later helps ensure minimized risk and quicker recovery time. If you are not sure when to neuter a cat, please consult the veterinarian at your next visit.